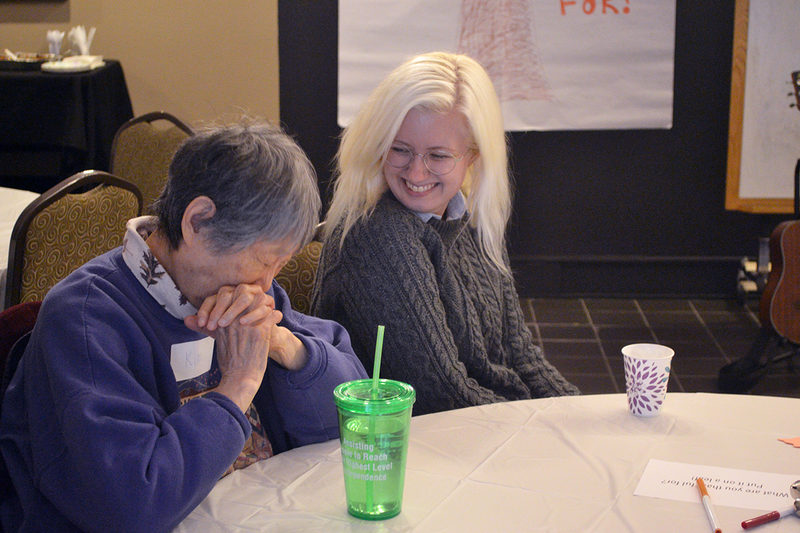 On the 2nd Friday of each month, the Music Project hosts a community-based Memory Café for individuals experiencing memory loss and their caregivers. Participants enjoy this safe space while eating, making music, and connecting with each other. Board-certified music therapists focus on fostering relationships between caregivers and their loved ones, providing opportunities for reminiscing and social engagement. Over the past year, music therapist’s report significant friendships blooming as well as increased self-expression and quality of life for those affected by memory loss. 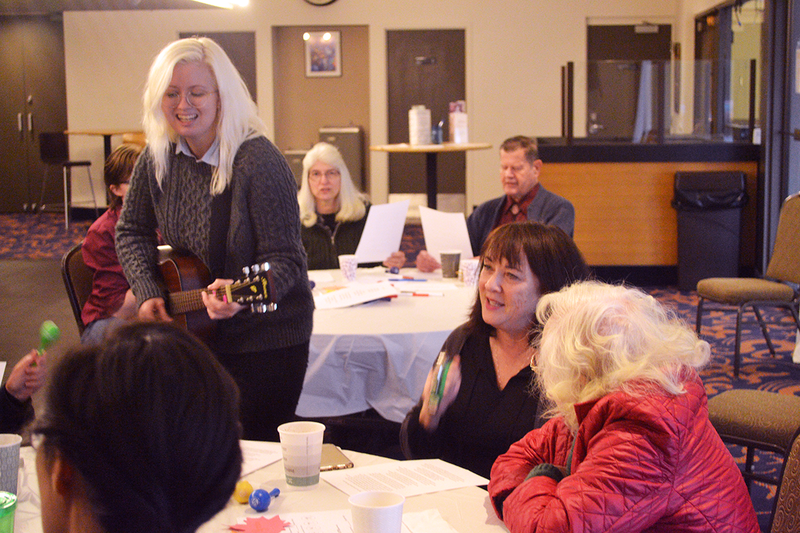 In addition to the Memory Café, on the 4th Friday of each month, the Music Project collaborates with The Everett Clinic to provide support during monthly medical appointments for those affected by memory loss. Programming includes a support group specifically for caregivers and music therapy activities specifically designed for participating individuals. With this community-based approach, bonds clearly develop and strengthen among caregivers and their clients. Participants demonstrate a sense of pride and autonomy during sessions as the music therapists offer opportunities for decision-making and choice. Client-led activities, such as songwriting, become catalysts for self-expression and validation. For caregivers and their loved ones, both programs offer safe spaces to receive support and social engagement.